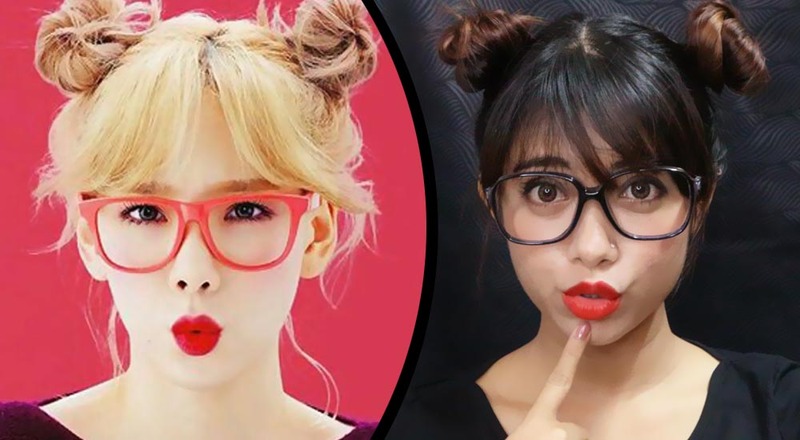 Who doesn't know Taeyeon from one of the legendary Kpop girl groups, SNSD, right? Taeyeon has those baby doll features that makes her extremely good-looking in whatever makeup or hair style. 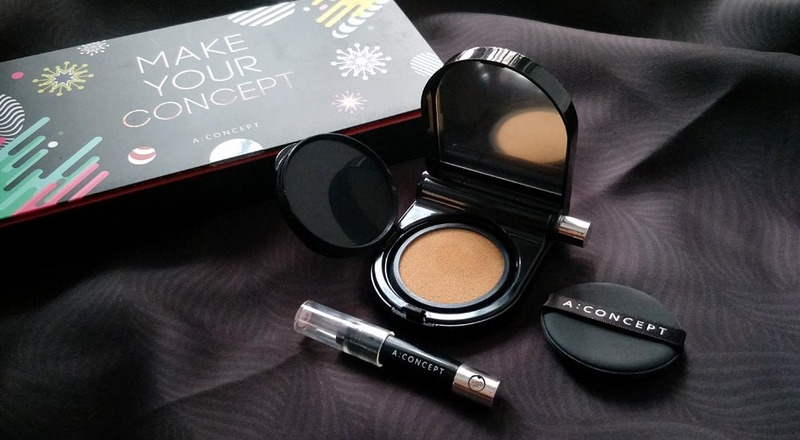 Hence, why today we will be recreating one of her simple yet fun looks using A:Concept "Make Your Concept Black Set". Before that, let me introduce to you the "Make Your Concept Black Set" by A:Concept! This box comes with an All-In-One Brightening Cushion, a re-fill pack with the same shade (#23), 1 lip crayon shade (A:Red Orange) and a 2-in-1 lip/cheek Coral colour that's really handy for the ladies who are always on the go. My personal favourite of the set is the A:Red Orange lip crayon! For obvious reasons like how stunning the colour looks on me (and even you) and the fact that it can stain whatever surface my lips lands on while still remaining its vibrancy on my lips. Like it takes a lot of drinking and eating to remove the colour completely off my lips. I also am quite fond of the All-In-One Brightening Cushion, it does make my dull skin two tones lighter though I would say the coverage isn't as brilliant as I thought it would be but it surely does help in taking selfies. I feel that it creates a 'reflective' surface once you apply it to your face and this helps the camera on your phone to create a flawless skin look without any beautifying app/mode. Oh! And let's not forget how convenient it is for you to bring along your favourite lip crayon shade from A:Concept with the help of the hidden holder. For the 2-in-1 lip/cheek Coral crayon, I find that it comes in handy especially if you are the pale-type of person. Adding some 'blush' to your look will definitely be more appealing for onlookers. I, specifically, do not or rather rarely use blush simply because I am already tanned (red)...so I avoid adding more 'blush' to my natural 'blush'. You can also get your hands on this set at Althea! Anyways, let's go straight into the makeup tutorial, shall we? Wasn't it simple? Let me know what do you think of this look in the comment box below and don't forget to subscribe to my Youtube channel for more beauty vlogs! Have an awesome day! Simple and easy, love the final look babe!